April’s list of widely recognized holidays is a good source of content marketing. Add to this the power of publishing a lookbook, and you have five compelling ideas for ecommerce content marketing. Content marketing is the art and science, if you will, of creating, publishing, and distributing content like blog posts, photographs, videos, or similar, with the aim of attracting, engaging, converting, and retaining customers. 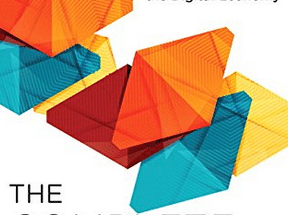 What follows are five ideas for your ecommerce content marketing. In much of the Western world, the first day of April is set aside for practical jokes, pranks, and harmless hoaxes. It is a day when even the most conservative of brands can have some fun with marketing. In fact, April Fool’s Day marketing can be some of the most inventive and creative content a company produces all year. Thinkgeek releases several fake products each April Fool’s Day. 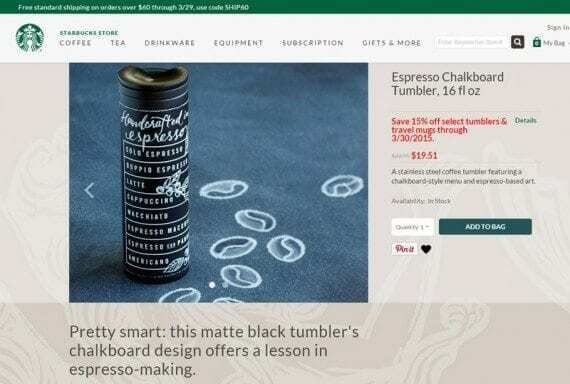 One of the best examples of ecommerce-related April Fool’s content marketing comes from specialty retailer Thinkgeek, which has published a list of “fake” products each April Fool’s day since 2001. In 2014, Thinkgeek’s April specials include the following. Mr. Beard Beard Machine. Pick and “grow” your favorite facial hair. 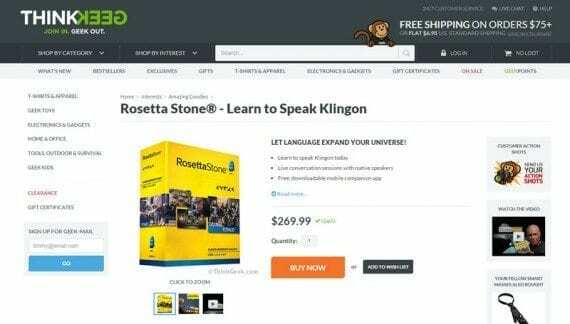 Rosetta Stone Learn to Speak Klingon. Learn to speak Klingon today; live conversation sessions with native speakers. NERF Nuke. The NERF weapon to end all NERF wars. For April Fool’s Day 2015, try to come up with one product related to your industry that will leave folks laughing. Publish the product like any other on your site — although you may want to put it in a special category; Thinkgeek uses “looflirpa,” which is “april fool” backwards. Finally, feature that product on your home page, in an email campaign, and on social media. In the United States and much of the Western world, Easter will be celebrated on Sunday, April 5, 2015. The holiday has something of a split personality. On the one hand, it is a secular holiday featuring egg hunting, the Easter Bunny, and Easter parades intended to celebrate the changing seasons. While on the other hand, it is a high Christian holiday commemorating the resurrection of Jesus. From a content marketer’s perspective, the holiday merits attention in either situation. Here are some ideas for industry segments. Craft retailer. How-to articles for making anything from Easter baskets to plastic Easter egg bunnies — Michael’s did the latter. Kitchen supply retailers. Include recipes and articles demonstrating how to make your own Easter candy. Clothing retailer. What about a video that takes an historical look at Easter fashion for the last 100 years? Book retailer. An article reviewing the ten best Easter books for children. 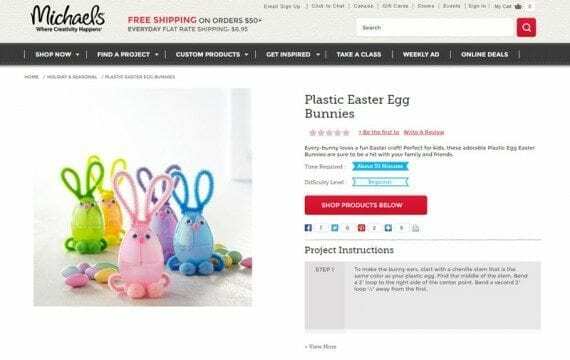 Michael’s includes how-to projects for Easter on its site. Consumers can also shop the project. 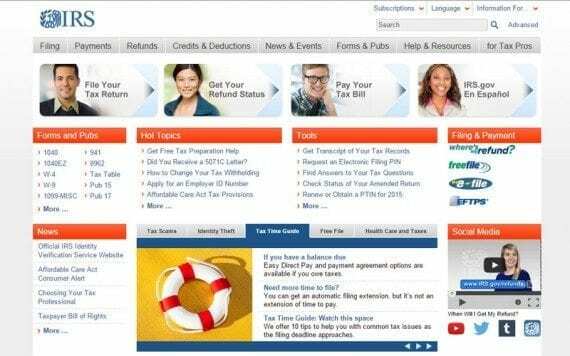 For Americans, Wednesday, April 15, 2015 is this year’s deadline for filing tax returns. The day might seem like an odd topic for ecommerce content marketing, but, in fact, there may be an opportunity to be useful to some customers. Perhaps the most direct approach is to produce articles, videos, or tools that help customers prepare for tax day this year or next. Tax day is Wednesday, April 15, 2015 in the U.S.
For example, in December 2014 the U.S. Congress renewed the state sales tax deduction for 2014 returns. This means that folks itemizing their taxes may choose to deduct either the state income taxes or state sales taxes they paid, whichever amount is larger. This deduction could include online purchases, if the seller collected sales tax for the their customers’ home states. Here are some tax-day-related article ideas. Another idea would be to include a new tool on site that allowed shoppers to look at all of their orders for the year. The tool might allow business customers to select products they intend to deduct and print a receipt of sorts that only included those products. First celebrated in 1970, Earth Day is meant to demonstrate support for the environment and environmental protection. It is also a good opportunity for content marketing. For 2015, Earth Day occurs on Wednesday, April 22. Even a coffee tumbler could be an important product to promote on Earth Day. As an example, imagine a company that sells coffee tumblers online. The seller could create an article or video about how a reusable coffee tumbler saves paper cups and, thereby, benefits the environment. Once the article or video is complete, promote it on social media using the hashtag #earthday. Be certain to mention facts and statistics from your content. Creative agency David&Goliath did exactly this campaign with its Defiance Club Movement, telling folks on Twitter that 6.5 million trees could be saved annually if they would use a coffee mug instead of a paper cup. The hypothetical coffee tumbler example is not really that hypothetical. In fact, creative agency David&Goliath actually did it with coffee mugs. The only suggestion on this month’s list not tied to a specific date is to publish a lookbook for your ecommerce business. 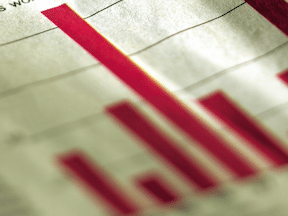 In its 2015 Eshopper Index published March 18, 2015, iVentures Consulting reported that 65 percent of the 111 sites it had reviewed used photography, like lookbooks, to encourage sales. Lookbooks are essential mini-catalogs that use lifestyle or product in-action photography to get an emotional response from the shopper. Lookbooks can be used to promote almost any product, but are probably the most common on sites selling apparel, cosmetic, and luxury products. As an example, Suitsupply has a not-entirely-safe-for-work lookbook that features models wearing its spring line in a pool. Suitsupply’s lookbook introduces shoppers to its spring line in an entertaining way.